Below we reproduce an interview with the two new co-chairs of the executive council of the Kurdistan Communities Union (KCK), Bese Hozat and Cemil Bayik, and the former KCK chairman Murat Karayilan. The two new co-chairs of the executive council of the Kurdistan Communities Union (KCK), Bese Hozat and Cemil Bayık as well as the former KCK chairman of the executive council and the current supreme commander of the Kurdish Peoples’ Defence Forces (HPG) Murat Karayılan, talked to the news agency Firat (ANF) after the exceptional 9th general assembly of Kongra-Gel. During the general assembly the democratic solution process was the main topic. In this interview Karayılan explained that the coming weeks will be of great importance. ‘With the current attitude of the government, the process will not progress further. Even though the process has not come to a standstill yet, it is at risk of coming to a halt,’ explained Karayılan. The following is a short version of the interview. You organised the general assembly of Kongra-Gel under very difficult conditions in the Meder defence area. What was the atmosphere like? Bese Hozat: we organised our 9th general assembly at a historic moment. We had in-depth talks amongst the participants about the Middle East, the Kurdish question and the current process. We also discussed the Kurdish system – it being divided into four parts of Kurdistan – in depth. What would this system look like and how should it be established and organised? These were the questions we discussed. Of course we also discussed the difficulties and obstacles we faced so far and how we can build on the lessons learned to overcome the difficulties of future initiatives and projects. The democratic solution process initiated by our chairman Abdullah Ocalan was discussed in depth. We discussed our plans and projects in this process extensively. We discussed the social, political and economic dimensions and implications of this process and have come to important conclusions on all of these topics. Furthermore, we talked about the health and freedom of our chairman and have decided on a mutual approach in this question. Mr Karayılan, you were executive chairman of the KCK for almost nine years. Can you tell us how this general assembly was different from previous ones? Murat Karayılan: First of all I would like to say that the decisions that we took at the 9th general assembly of Kongra-Gel are of great importance. I believe that we laid down the foundation for the freedom of our people and our chairman with these decisions. To talk about the differences: Our chairman has developed a new system. The general assembly of Kongra-Gel has held this meeting on the foundation of these perspectives. And we have actually added certain things to our system. 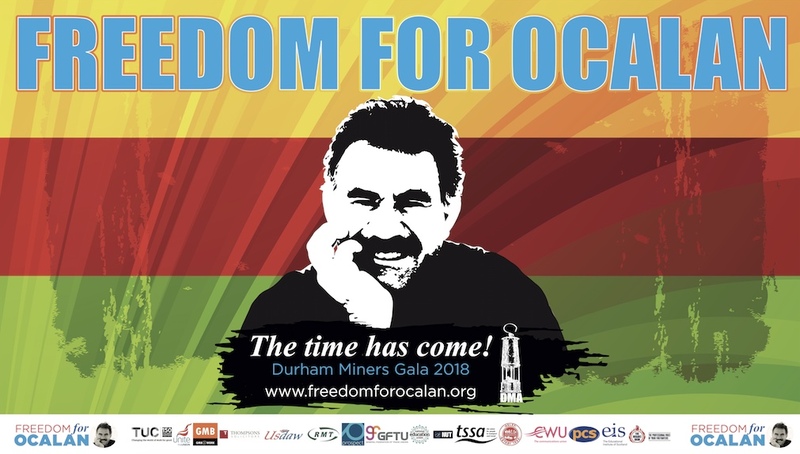 We have elected Abdullah Öcalan as the KCK chairman again. Additionally, we elected a six-strong presidential council that will assist the chairman. Another important reform is that we have introduced the co-chair system for the executive council as well. Our friends Bese Hozat and Cemil Bayık were elected to these positions. I held the position of chairman of the executive council for almost nine years. But there is no competition for positions. This means that if you are holding a post that you do not have to do it forever. In line with the nature of our democratic organisation, changes in tasks are natural. In that sense I wish our new co-chairs a lot of success with their tasks. And I will do my best to do my new responsibilities justice. You have emphasised, that important decisions were made during the general assembly. But how will the KCK establish itself in society? Have people understood this system sufficiently? Cemil Bayık: This system is not only designed for the Kurdish people. The system of our chairman is intended to serve all peoples. It is important to understand this. Our chairman has developed this system based on the lessons drawn from history of humanity. We develop this system further every time we see a flaw when it is being put into practice. There are not so many practical experiences yet with this system. It is a new social model for humanity. The shortcomings will only become visible when we implement it. That is why we decided on the changes during the general assembly. The KCK system rests on four pillars. The first pillar is the Kongra-Gel, the council. The second pillar is the communal council structures and the communities. The third and the fourth pillars are the academies and the cooperatives. Which resolutions have been agreed on by the Kongra-Gel for the upcoming months? Murat Karayılan: The most important decisions taken by the general assembly are related to the current process. This process took off with the call by our chairman at the Newroz celebration and has taken shape with the start of the withdrawal of our armed fighters. Kongra-Gel has agreed to the withdrawal and the continuing process. This is crucial because it proves that our movement sees the process as a strategic goal. Kongra-Gel has put the presidential council in charge to follow this process closely. The presidential council is in charge of reacting to all the developments in the process and make the necessary decisions. You declare that the first step of the solution finding process is completed. What stage are you at with the second step? Are the different sides abiding by the agreement? This is an important question. We are currently in a very important stage of the process and our side has fulfilled its tasks. The Turkish prime minister says that 15% of the guerrilla groups have retreated. That is why he does not want to move on to the second step of the process. We have agreed on a ceasefire and the withdrawal is continuing. This is more than proof that we are serious. Now there are urgent steps the state needs to take. Our chairman has initiated this process but he is still in solitary confinement. His lawyers are not allowed to see him. Even more importantly, he has serious health issues at the moment. An independent group of doctors needs to be able to travel to Imrali to do a check-up on our chairman. Furthermore, it is important for the continuous process that delegations are entitled to visit our chairman and talk to him. He needs to be able to communicate with the outside world. And of course he needs supporters, who help him with the negotiations. This is the only way that peace negotiations can be held. They need to be between equals. If the Turkish state really wants to acknowledge the Kurds, if it wants to solve the Kurdish question, then it has to act on these issues. There are numerous anti-Kurdish laws, the so called ‘anti-terror laws.’ These laws strip the Kurds of the possibility to participate in politics. These laws are the reason why Kurdish politicians are imprisoned. The Turkish Prime Minister said himself that the weapons should be silenced and laws be heard. Okay, the war has been stopped. But our Kurdish politicians are still in captivity. What does this tell us? The Turkish government is solely responsible for this paradox. So far it has been reluctant to take steps in the necessary direction. It is the same with the sick prisoners. They should have been released from prison long ago. But discharges are rare. Since the beginning of this year we’ve done everything in our power. Especially since Newroz we have been very active. But on the side of the AKP we are seeing very little movement towards a solution. On the contrary; they are building new military checkpoints and new gunmen are moved into the area. Additionally, new security dams are being filled, which are not serving the energy supply of the people but are minimizing the room for manoeuvre of the guerrillas. The Turkish government is acting in an opportunistic way and is raising concern because of this. (…) If the AKP government does not take any steps in the next few days, this process will come to a standstill. But it won’t be us but them who are hindering this process. We have abided by our side of the agreement and have shown our commitment during the general assembly of Kongra-Gel. But the Turkish state has not published any decisions. They only say ‘guerrilla fighters should retreat beyond the borders, after that we will take the next steps.’ It cannot continue like this, the second stage has started and they have to stick to their responsibilities in the process. 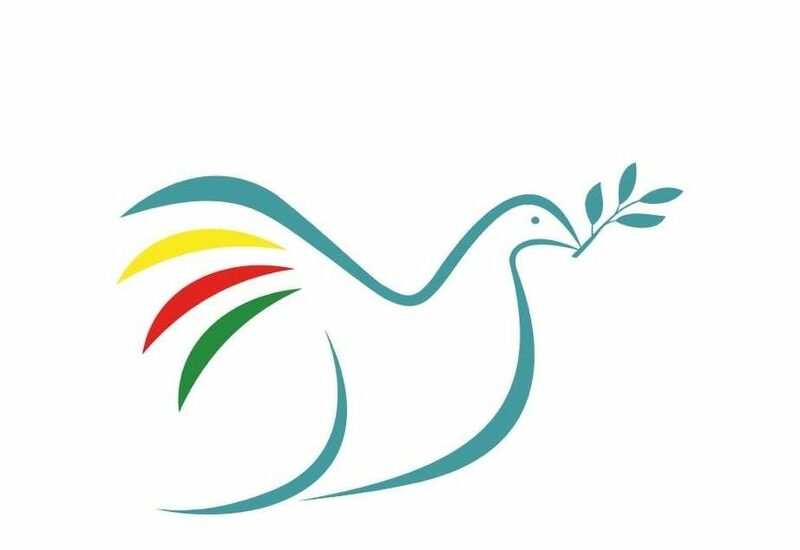 Everyone should know that we are not threatening the Turkish state; if we say that it needs to act then it is because we want reconciliation and peace. This won’t work if it is one-sided. Until today, this process has been steered by our chairman, but now he is ill and needs treatment. Also, he needs to be in touch with the outside world. The prisons are filled with Kurdish politicians. All of this affects the process. Everyone should know that the coming week will be crucial. If the Turkish state continues to act in this way, the process will come to a standstill. So far this hasn’t happened but we are not far away from it. In Licê we saw that our people were attacked; our people are being oppressed. In short, the untrustworthy politics of the AKP and the attacks in Gezi Park show a great intolerance. These policies can stop the process or have already stopped it. We are expecting clear steps in the very near future. If these steps don’t manifest it will stop the process. This will be their responsibility. What are the responsibilities of society and the democratic groups for this process to continue? Cemil Bayik: The Turkish state and the government are the ones standing in the way of this process. We do not want this process to come to a standstill and the democratic forces are very committed to this process. Everyone is saying; ‘look the Kurds and the freedom movement have taken the necessary steps.’ It is the government and the state which have to do their part now. Until now they were reluctant to do so. Everyone is waiting for them to act. This is the reality. It is precisely on this that the democratic forces in Kurdistan and Turkey as well as abroad have to insist. They have to demand that the state and the government act. They shouldn’t just wait but start campaigning. This will not only lead to the solution of the Kurdish question but also the democratisation of Turkey and lead to transformations in the Middle East. This will be the foundation for mutual trust and will benefit everyone involved. The general assembly also made a decision with regards to the freedom of the Kurdish leader Abdullah Öcalan. Can you elaborate on this topic? What was the general assembly’s assessment of the Paris killings? Bese Hozat: the conspiracy against our three friends in Paris goes against this process. France knows who is responsible for this but refuses to publish the information. The US and Europe are involved in this. 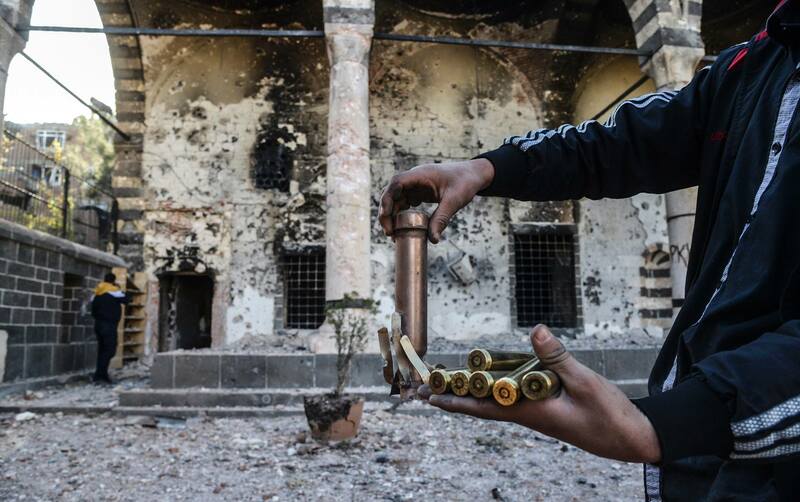 The resistance of the Kurds in Kurdistan and Europe continues. The political and diplomatic struggle will continue. Based on this, the pressure on the French state will continue.